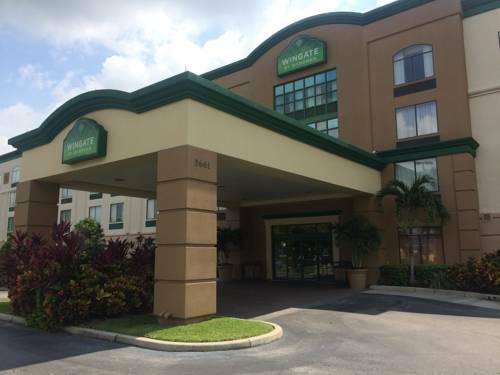 Conveniently located off Interstate 4, this Wingate by Wyndham Convention Ctr Closest Universal Orlando is near Orlando Convention Center, downtown Orlando, Disney Theme Parks, Orlando International Airport, and many local restaurants. Ideal for both work and play, this smoke-free lodging offers complimentary deluxe hot breakfast, complimentary internet, outdoor pool, fitness center, meeting room, and a 24-hour business center. A shuttle service to local businesses is also available. Guest room amenities include microwave, refrigerator, safe, complimentary local telephone calls, desk, ergonomic chair, newspaper, and TV. Executive suites and handicapped accessible rooms are also available.